Of course she’s into vinyl! Of course she is. I’m not coming for Anne Hathaway today (or ever), and I’m not here to challenge you if you’ve got an interest in vinyl records. That doesn’t change the fact though that Anne Hathaway is Hollywood’s #1 hardly loved try-hard AND that vinyl is the try-hardiest possible way for someone to enjoy music. 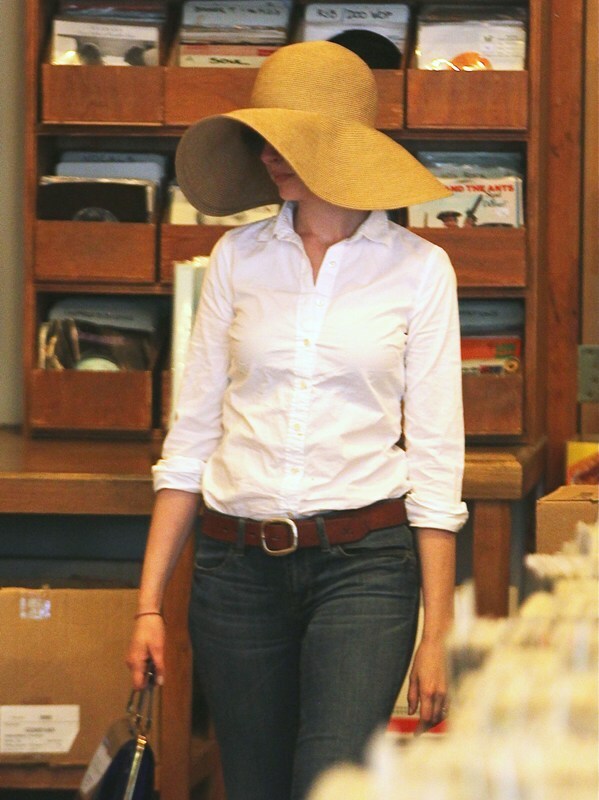 Lots and lots of pictures today of Anne taking her stupid hat and her cute husband to lunch in Studio City. I know this is sounding a lot like an anti-Anne post, but I swear I don’t mean it that way. I like her stupid hat. In fact, you know that thing where people say only crazy women wear hats? I used to agree with that but now that I’m a little older I’m certain that’s just what people say when they’re misogynist shine blockers who are freaked out by someone with enough personality to leave the house in a jaunty chapeau or whatever. 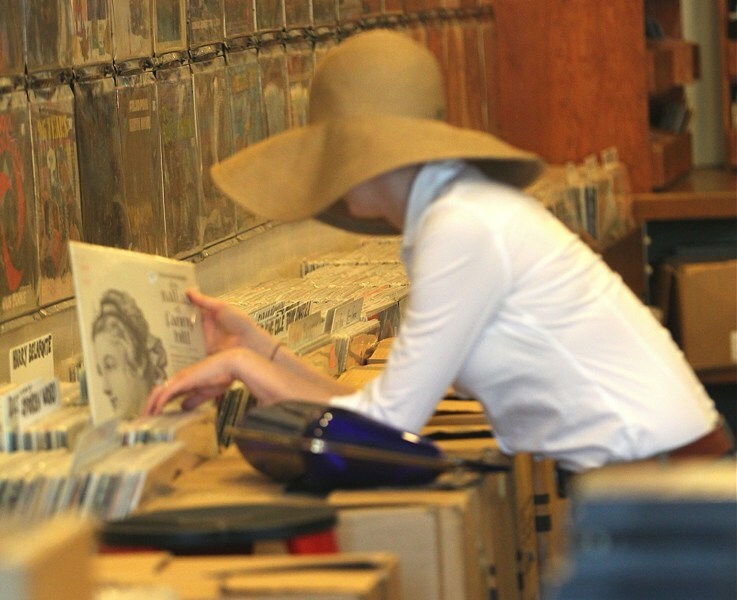 After lunch, Anne, her hat and Adam Schulman went to go buy some vinyl (Duran Duran?) because this is the kind of thing Anne Hathaway does. She’s all about things that sound good when described by an article in like Esquire or Town & Country but when you’re actually doing them are kind of wack, and only possibly pulled off when the person doing them is effortlessly cool. And if there’s one thing Anne isn’t, it’s effortless. But, again, I’m not being shady. Anne is fabulous for trying, for being awkward, for being herself. Which is hopefully what she’ll be doing in My Fair Lady sometime soon. There’s been talk of her starring as Eliza Dolittle for a while, both on stage and screen, but for now the talk is just talk. After the Les Miserables backlash though, I think for the sake of Anne (and her entire hat collection) that a small and successful stage production is the way to go, no?